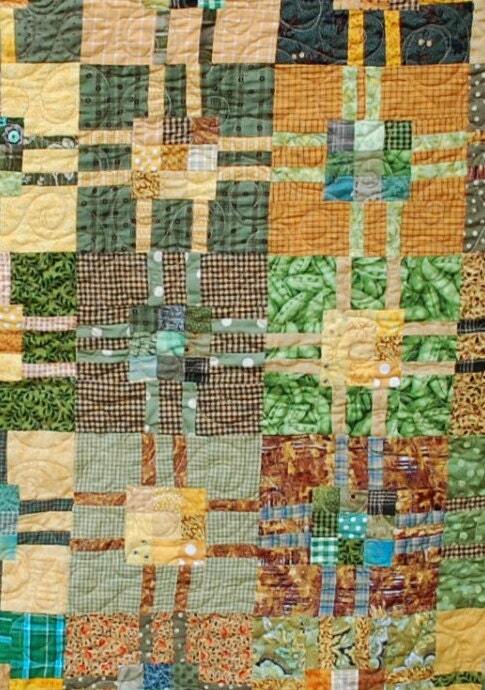 Soup of the Day finishes at a large 49” x 49” as pictured. 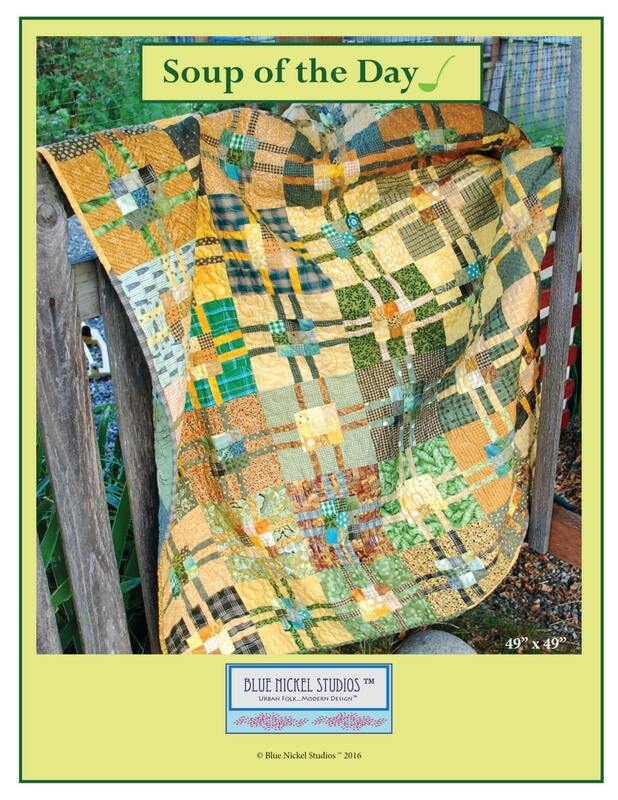 Soup of the Day was originally published in the Fons & Porter’s Easy Quilts October 2009 issue. 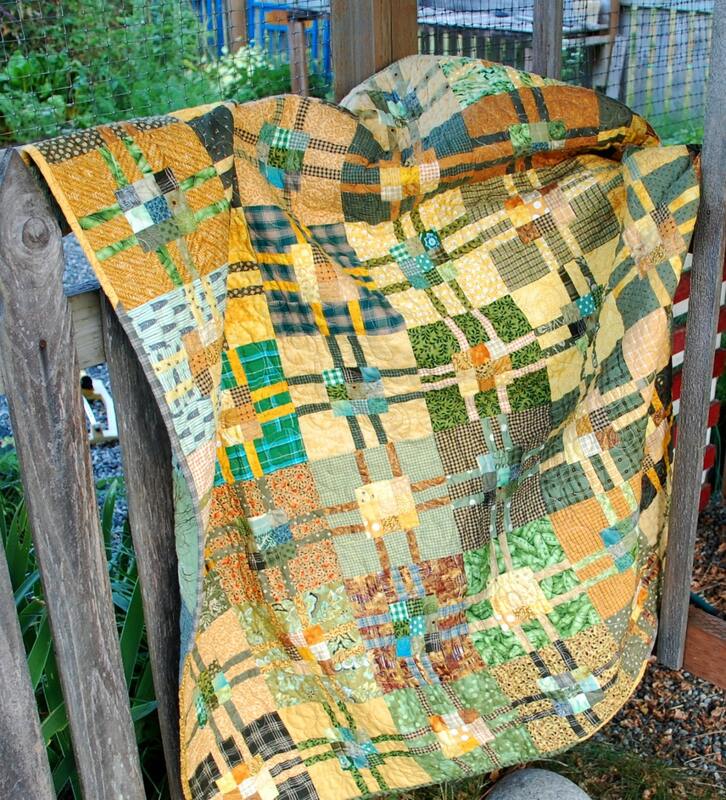 My friend Sara Nephew suggested Split Pea Soup as a name for it, based on the green and yellow fabrics in the original quilt. I liked the name and that’s how it went into the magazine. Now, however, I feel that name is too limiting, so I have renamed this quilt Soup of the Day so anyone can choose their favorite flavor. Just pick a two color combo that has good contrast and go for it. Feel like cooking up some Oreo Soup (Black and White) or Blueberry Mango Stew (Blue and Orange) or Christmas Bouillabaisse (Red and Green)? Go right ahead! Or don’t limit yourself to a two color scheme at all. Instead of making the contrast work with two colors, work your magic using all of your scraps and sort by Value -- Lights and Darks. Or sort by Warm and Cold colors! 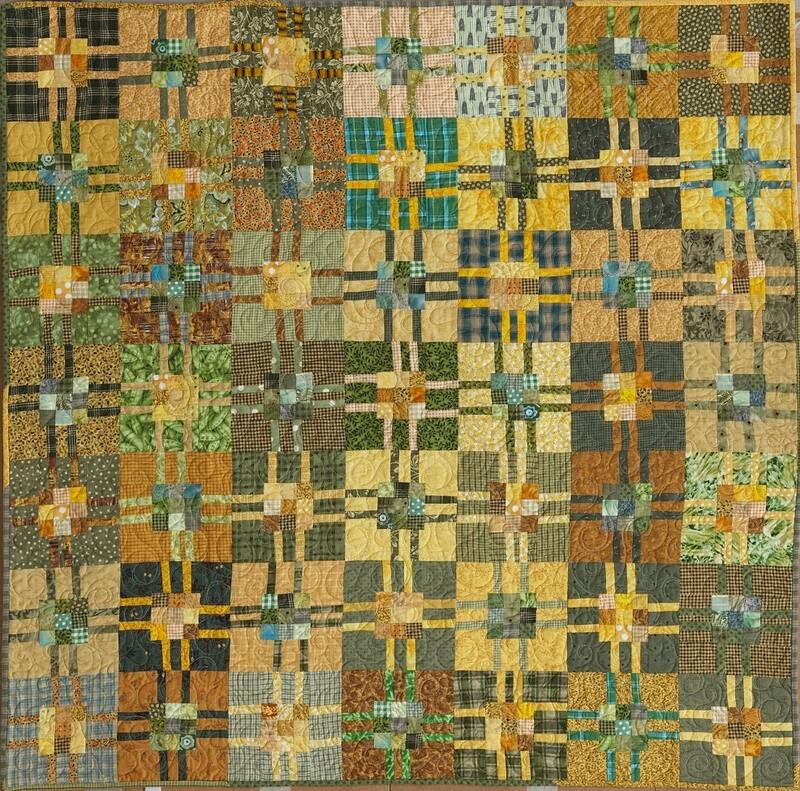 Whatever you fabric recipe you whip up, I am sure you will enjoy creating each and every one of the blocks in this happy, scrappy quilt.